Three men have been jailed for more than 40 years after gunmen were caught red-handed by armed police in a residential Birmingham street - as they prepared for a possible drive-by gang shooting. 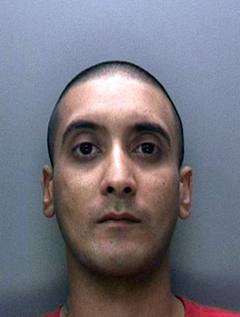 Jamie Webster, 24, and Sarbjit Bhamra, 38, had collected a six-shot revolver from a third man, Aaron Burris-Hale, before heading to Guild Close in Ladywood for a potential ‘murder in the making’ following an earlier clash. But a terrified member of the public alerted cops after spotting two gunmen, their faces covered by clothing, running in the road. Two officers were in an armed response vehicle nearby and raced to the scene. They drew their guns and ordered Webster and Bhamra out of a black Mercedes which was parked up in the road. The men were arrested and a revolver was recovered from the driver’s seat. Four live rounds were found in its chamber. No shots were fired during the terrifying drama on June 30 last year which was investigated by West Midlands Police's Serious and Organised Crime Unit. 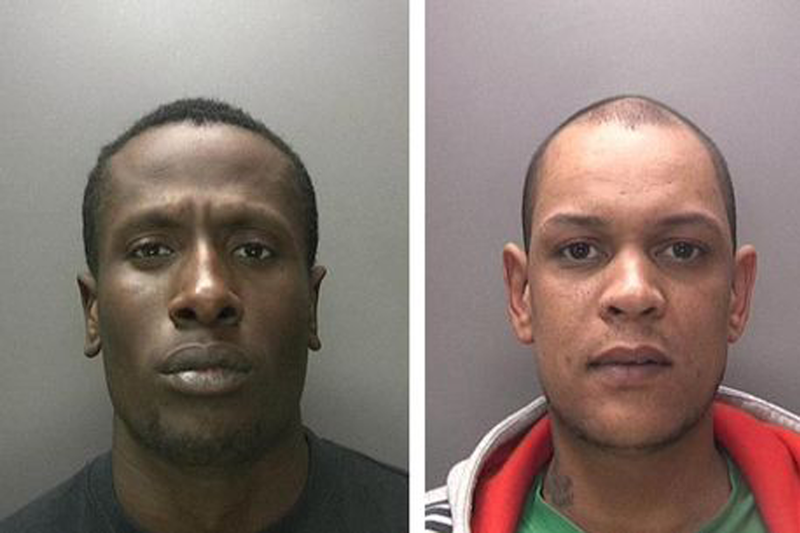 The three men were jailed for a total of 43 years at Birmingham Crown Court after being found guilty of conspiracy to possess a firearm with intent to endanger life and conspiracy to possess ammunition with intent to endanger life. Webster, from Clark Street, Edgbaston, and Bhamra, from Fox Hollies Road, Hall Green, were both sentenced to 15 years for each offence to run concurrently. Burris-Hale, from Bristol Road, Edgbaston, was handed a 13-year term for each offence, also to run concurrently. The trial started on February 2 and the jury heard how Webster had clashed with a group of men at Ladywood Community Centre before deciding to arm himself and head to Guild Close. Bhamra was tasked with collecting the six-shot revolver from Burris-Hale. But before Webster and Bhamra could carry out any shooting they were arrested when armed cops were alerted by the member of the public just before 7pm. Burris-Hale was arrested later. The three men were convicted after painstaking police work from a detective team, led by DC Scott Chivers, including the use of CCTV and telephone records. Judge Roderick Henderson rejected arguments from defence barristers that the men had taken part in a family dispute. He said: "The jury were sure by their verdicts that you Jamie Webster took a loaded six-chamber revolver with four viable bullets to the territory of the opposing group, and I have concluded that this can only be described as a gang dispute. "You took it there with the intent to endanger life. You were driven there by Sarbjit Bhamra who knew perfectly well what your intention was." Judge Henderson told the court he believed the dispute centred on drugs territory. He said: "There was a confrontation in particular between Jamie Webster and another community and gang in Ladywood Community Centre. It was a typical display of aggression between groups of young men. "The danger posed with that is not just to the members of the other group but, as we see so often in the city of Birmingham, sometimes innocent bystanders get shot and killed. "This was an area of dense housing, there were a lot of people about on a summer evening. You posed a significant risk to innocent members of the public who have nothing to do with the various sides and that makes it all the more serious." Trevor Meegan, defending Bhamra, said his client had acted as a go-between while Graham Henson, for Jamie Webster, said his client had been "aware, for whatever reason, that people were after him" and his fear had led to "tragic" results. Anya Lewis, for Burris-Hale, told the court he had led a difficult life, losing his job as a security guard and suffering family bereavement. After the sentencing Detective Chief Inspector Simon Wallis, who heads the Serious Organised Crime Unit, said: "Thankfully, no weapon was discharged and the prompt response of our highly trained officers prevented Webster from carrying out his attack, which was potentially a murder in the making. "Webster;s response to the dispute - with the help of Bhamra and Burris-Hale - of fetching a loaded gun, was ludicrously disproportionate. "We are satisfied with the lengthy sentences handed to them, which reflect the devastating consequences their actions could have had. "Not only have these individuals been taken off our streets for some considerable time, but we have also recovered a gun, stopping it from falling into the hands of other criminals. "We are working hard to reduce gun crime and we have invested significant resources in targeting those involved in the supply of illegal weapons. "Levels of recorded gun crime now stand at around half of what they were seven years ago but we are not complacent, and we will continue to do all we can to eliminate guns, gangs and organised crime groups from our communities."